Leicester Riders are in control of their WBBL Trophy group after making it two from two. 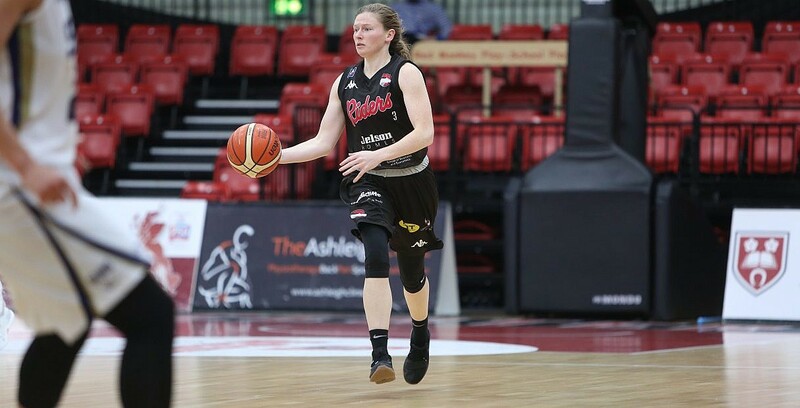 Leicester Riders are in control of the WBBL Trophy South 2 group with two wins out of two after beating Cardiff Met Archers 100-82 on the road, meaning that they can win the group if they beat Oaklands Wolves on Sunday. Riders have now won nine straight games on the road since the opening day of the season, and it is their second double-digit win of the campaign at Archers Arena. Turning point – After a tight first half, Riders opened the third quarter on a 19-6 surge over a six minute spell as Holly Winterburn scored eight points and a Jen Ashton three-pointer helped the lead to 64-49. They won the third 32-14 overall, and there was no way back for the hosts. Key stat – Riders shot 66% from two-point range and that was epitomised in the key third quarter run as they shot 10-14 (71%) inside the arc in the period, while restricting their hosts to 5-21 (24%) from the field in that spell. Game hero(es) – Holly Winterburn led all scorers with 23 points including providing the spark in the third quarter, while Jen Ashton added to that in a good all-round display of 14 points, nine assists and seven rebounds.